Jade is an ancient stone that is known and revered for attracting love. I recommend that the first Yoni Egg you use is the Jade Egg. You want to be very aware when purchasing your Jade Egg. Apparently 9 out of 10 Jade Eggs are not genuine jade. Many Yoni Eggs out there have dyes. Since you are using your Jade Egg in your yoni it is vital that you have an egg that contains no dyes or toxins and has not been radiated to enhance its colour. 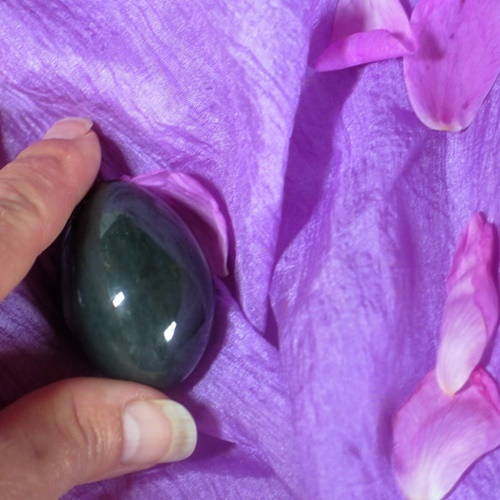 If you purchase your Jade Yoni Egg from my ‘Shopping’ section on my website, you can relax knowing that your Jade Egg is made of real nephrite jade and it comes with a certificate of authenticity. 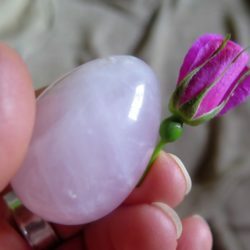 I am happy to say that your Jade Egg is also Canadian! Thousands of years ago in ancient time in China, the ‘jade eggs’ that the Taoists used, were nephrite jade. True nephrite jade is considered the “Stone of Heaven”. Nephrite means ‘kidney’ in Greek. Nephrite Jade is know for its ability to help heal your kidneys, stomach, arthritis, bladder and joints. Your kidneys store your life force, sexual energy. 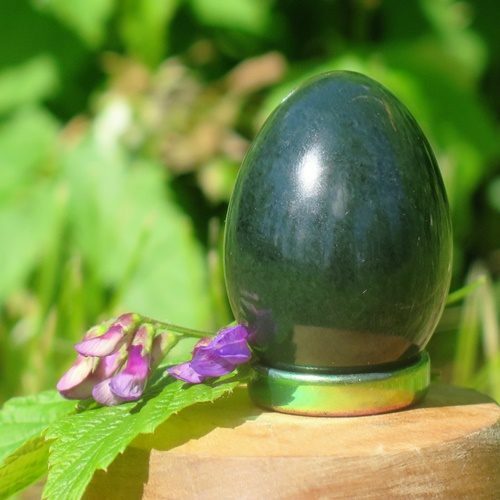 If you are going to only have one Yoni Egg, the Taoists would suggest the Nephrite Jade Egg. Jade is an ancient stone that is known and revered for attracting love. 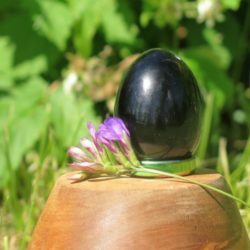 When you use your Jade Yoni Egg for your pleasure practice, you are raising the vibration of your self pleasuring and sexuality to love. Jade is also revered for its deep yin vitality. This gemstone has the ability to amplify your body’s natural self healing capacity.